For sometimes now I have been hankering for a new watch. However I didn’t want to just buy another watch for buying sake. 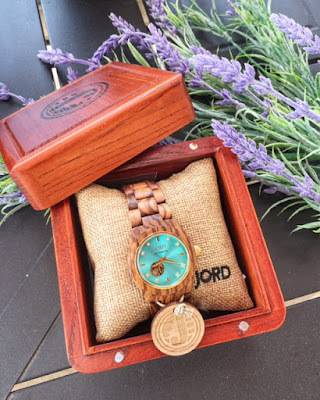 When the savvy folks over at Jord offer to send me a watch of choice for review, I was slightly hesitant because I wanted to honestly say I like the product instead of sugar coating because I feel I should. After looking over the different wood watch lines the company has to offer, I changed my mind because I fell in adoration with the Cora watch for the open display. Also I was completely amazed that an automatic watch is priced so reasonably. 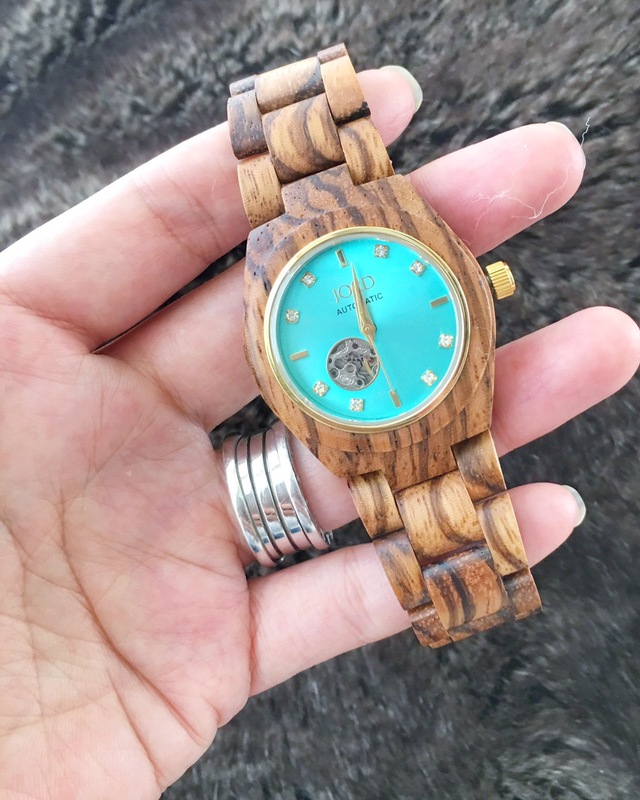 I love the aqua color face which pairs so organically with the wood finish. For me, this watch is the perfect balance between style and utility. I find myself treating this watch as a piece of wooden jewelry that happens to tell time, how great is that. 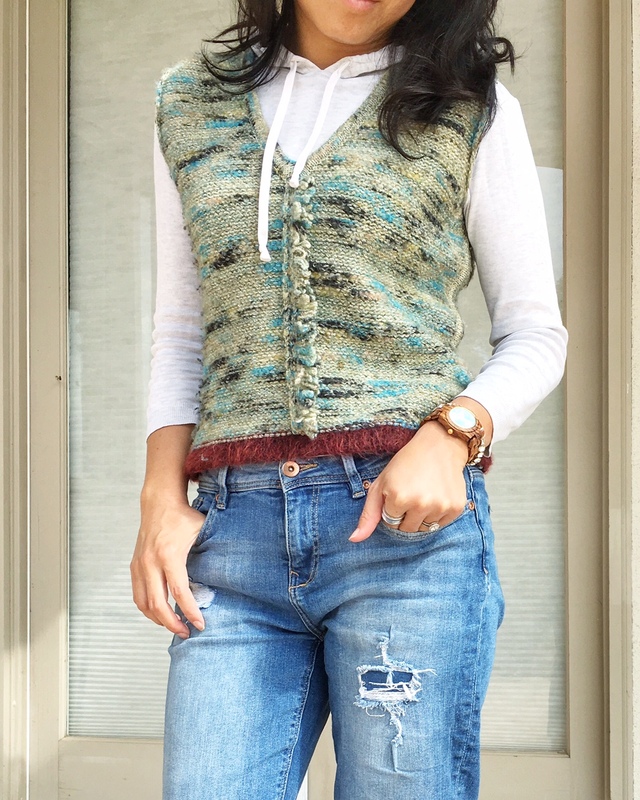 The colored face adds a pop of color year round for me since I am in grey and blue most of the time. Overall, I am really happy with the quality and finishes. The watch has substance but not overly heavy for daily usage. I know I can’t take my new watch diving like my other watches but it’s fabulous for everyday use, which I am looking forward to pairing this with my outfits. 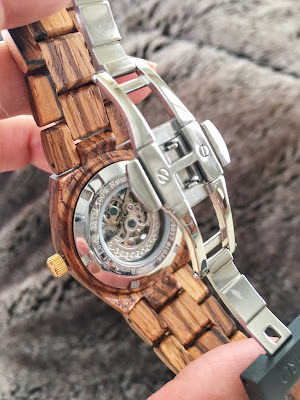 I would definitely recommend this line for anyone interested in a unique wood watch.